In this category, The Halloween Haunt Awards pay homage to well-loved attractions that have taken up residence in the Graveyard of Lost Halloween Haunts, never to be seen again on this earthly plane. 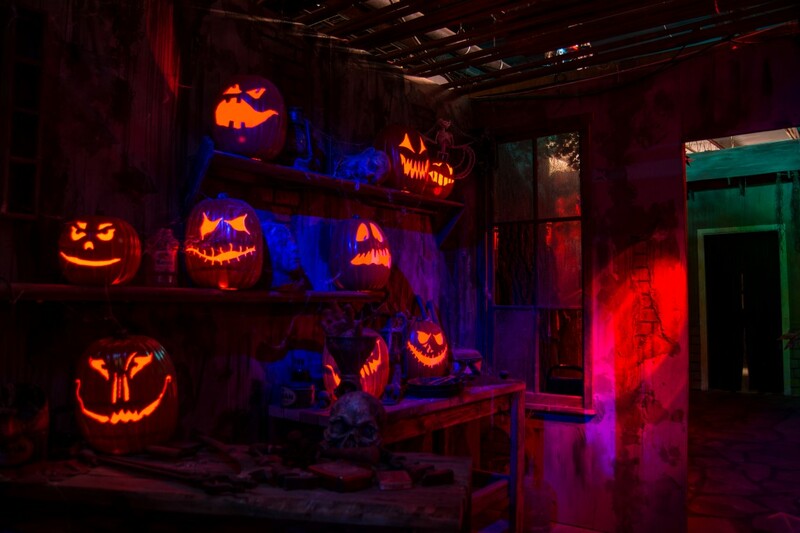 Think of the award as an induction into The Halloween Haunts Hall of Fame. Many are the haunts that we will never see again, but they endure in memory, like eternal spirits. 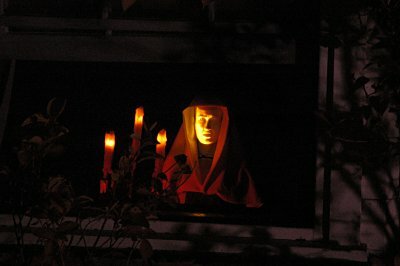 For over 30 years, from 1973 through 2005, this magnificent yard display haunted its Studio City neighborhood on Babcock Avenue, becoming not only a local tradition but also the undisputed king of Los Angeles Halloween home haunts. 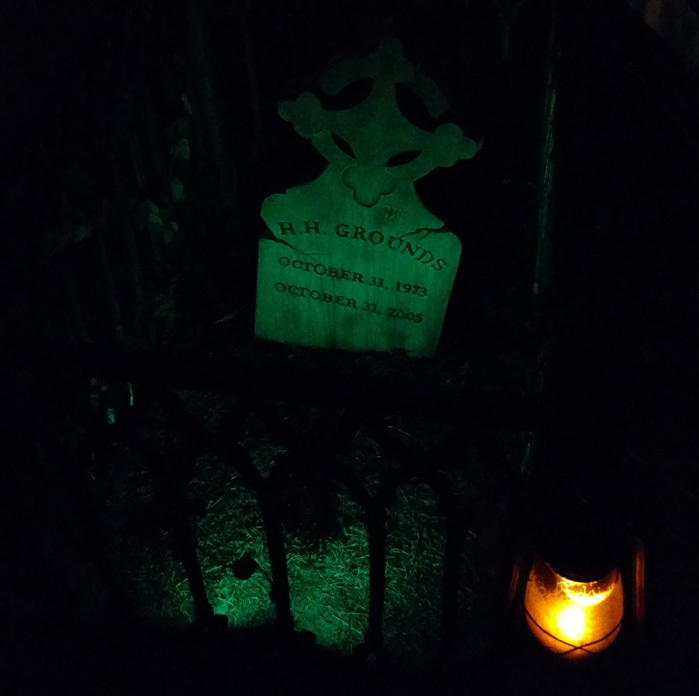 The Hallowed Haunting Grounds took trick-or-treaters on an ethereal journey into a moody miasma of tombs, spirits, gravestones, and ghosts. More spooky than scary, this haunt eschewed visceral horror in favor of old-fashioned eerie atmosphere appropriate to All Hallow's Eve. 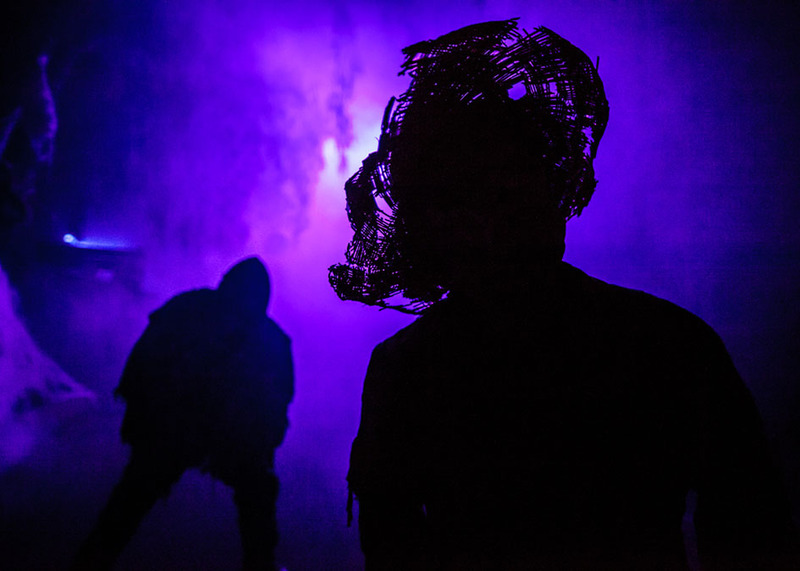 There were no actors performing jump scares, only a front yard filled with moving gravestones, mechanical figures, and ectoplasmic emanations, enhanced by ominous music. The path took visitors on a circuit of the yard (where transparent ghost rose from beneath the ground), through arches in the driveway (where red-eye bats blinked), toward front windows of the house (where ghostly musicians appeared and disappeared at their instruments), past the backyard (a fog shrouded cemetery), and finally out a walkway (past a monk delivering in invocation over a well emitting uncanny light). The tone was reminiscent of Walt Disney’s Haunted Mansion, but the Haunting Grounds was no copycat. Its incredibly elaborate displays were home-made originals. 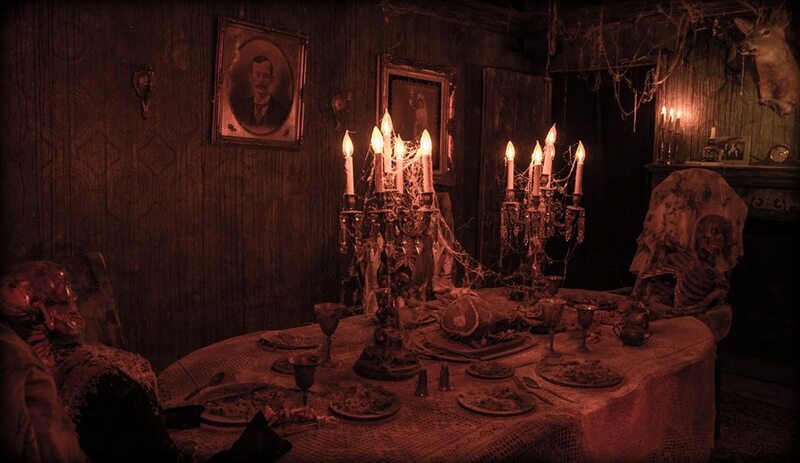 The expertly detailed decorations, sophisticated sound design, and carefully timed mechanical effects were of professional quality, setting a standard that other home haunts began to emulate over the years, abandoning store-bought cobwebs in favor of do-it-yourself craftsmanship. Over the decades, crowds grew bigger, as did the haunt itself, adding ever more amazing illusions until its “Final Manifestation" in 2005. Lines typically stretched around the block, and it could take twenty minutes to circumnavigate the relatively small yard. Strangely, this was a benefit. The Hallowed Haunting Grounds was paced to the rhythms of the dead, not the living. Spectres would gradually reveal themselves to mortal senses. Eager eyes, adjusting to darkness, would observe previously invisible details. Hidden sights would be unexpectedly illuminated; apparently static props would eventually move. The Hallowed Haunting Grounds was perfect place to go on Halloween Night, offering an entrancing low-key alternative to chainsaw and shrieks. It was truly sad when the Haunting Grounds shuttered its crypt forever after Halloween Night 2005. 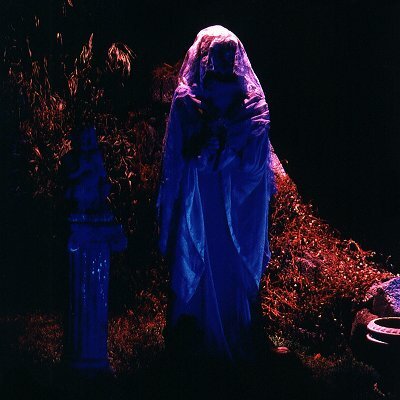 But its spirit lives on, inspiring others to this day - an influence acknowledged in home haunts as diverse as the House at Haunted Hill and the Van Oaks Cemetery, both of which display gravestones inscribed with the Hallowed Haunting Grounds' name. The Hallowed Haunting Grounds. They raised the bar. They set the standard. They showed us how wonderful a home haunt could be. More than a mere fun Halloween show, the Haunting Grounds was the first Los Angeles home haunt that deserved to be regarded as a work of art. Click here to read our 2005 interview with Gary Corb. You can learn more about the Hallowed Haunting Grounds at their official website: www.hauntinggrounds.org. A few years, the Rotten Apple 907 home haunt followed suit, ripping out their rose bed to make more room for construction. January 1, 2016 Steve Biodrowski, Administrator Comments Off on Happy 2016!